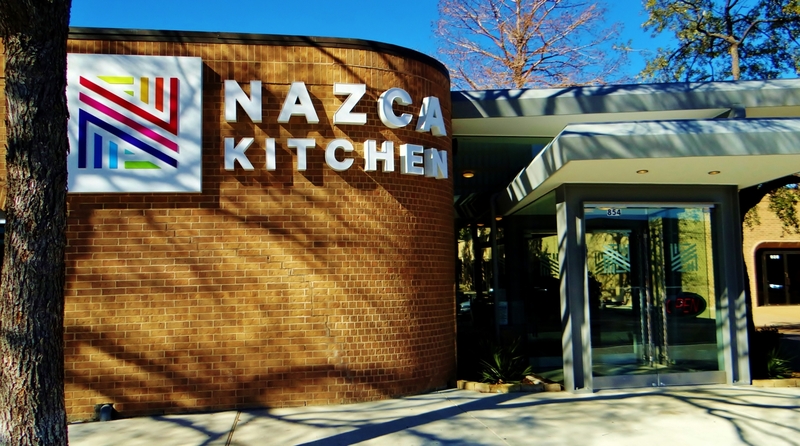 When we broke the story that Nazca Kitchen was moving into the shopping center on Walnut Hill just behind Red, Hot and Blues (and coincidently owned by the same folks) we had no idea what to expect. South American cuisine can mean so much, especially with its European influences. This allows for a broad and interesting menu. The beautiful interior was designed by Hatsumi Kuzuu who also designed FT33. The menu strikes bold flavors using interesting chiles as well as colorful grains and sauces. The restaurant is open all day, starting with a delightful breakfast menu that is all about healthy, just as you might enjoy in Brazil. Enjoy the Acai Bowl which is laden with the super fruit, bananas, granola and drizzled with passion fruit. 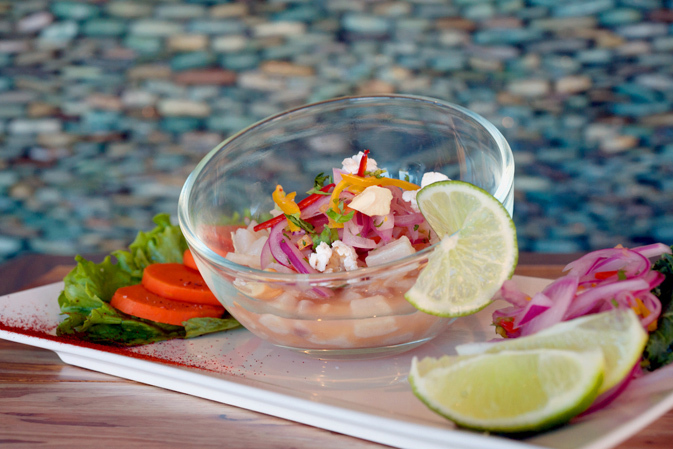 Nazca proves that eating healthier doesn’t mean loss of flavor. 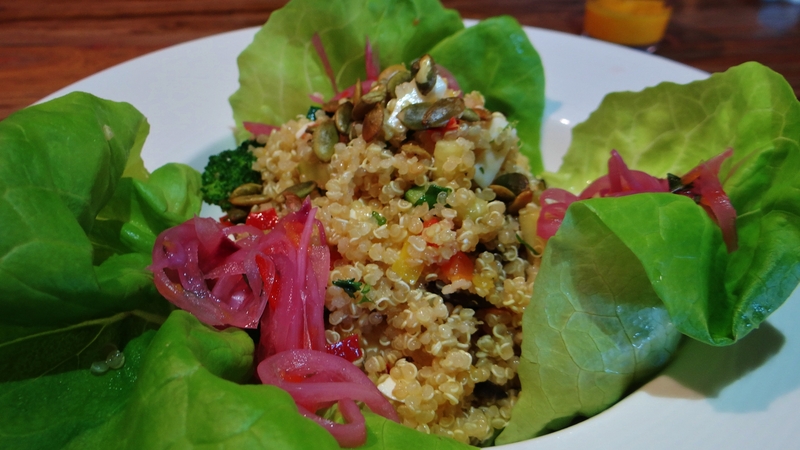 Most notably the Quinoa Salad is particularly delicious and a must try, even for the table as an appetizer as it is served in blankets of butter leaf lettuce which can be folded like a taco. This dish is made up of a colorful combination of broccoli, tomato, feta, pepitas, peppers, pecans and olives tossed into the quinoa that is enlivened with a tahini glaze. We are seeing quinoa show up more on local menus and is definitely a trend you will see plenty of in 2013. 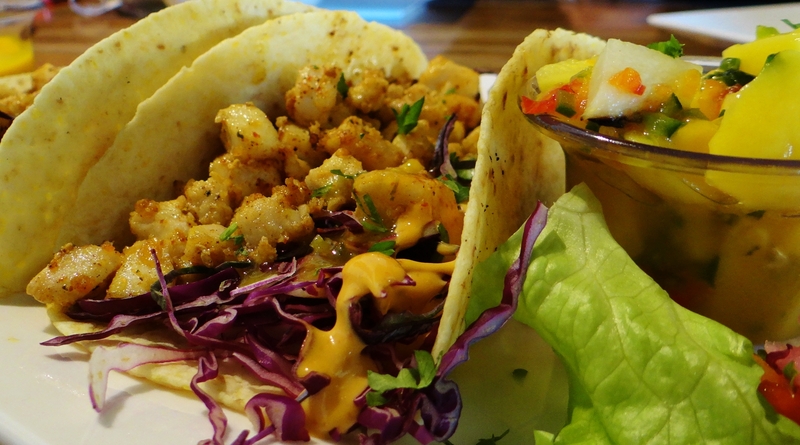 Other flavorful enhanced dishes include the fish tacos which are served again on the butter leaf for good measure, but can also be ordered with the especially delicious tortillas which are a combination of flour and corn for a taste sensation that is the best of both worlds. The tacos are filled with chunky grilled fish, cabbage, an aioli drizzle, aji amarillo sauce and a mango-lime relish for an extra kicked up taste. 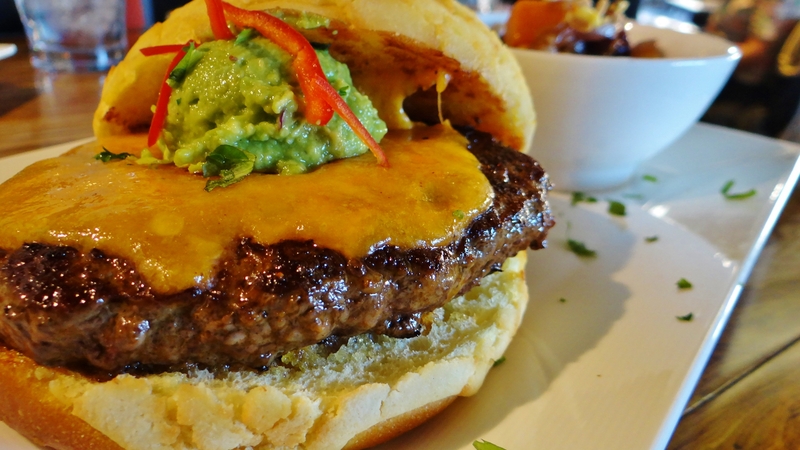 For those wanting something a bit more traditional, look toward the house burger made with premium kobe and topped with a round dollop of avocado mash and a delicious melty cheese. The burger was wacky good, but the Amazon crunch bun seemed a bit too brittle, but it holds up well to the unrelenting juices of the meat. The burger is well worth the $12 price tag and one of the better versions offered in Dallas. While dining at the new restaurant we ran into gene Street who had ordered a whole table of food just for himself. The Streets once partnered with Craig Collins at Red, Hot and Blue and are good family friends, so it seems only right they would dine in their respective restaurants. Other dishes that should be sampled are the 24-hour marinated flamed kissed chicken and the hangar steak that also gets the grilled treatment. 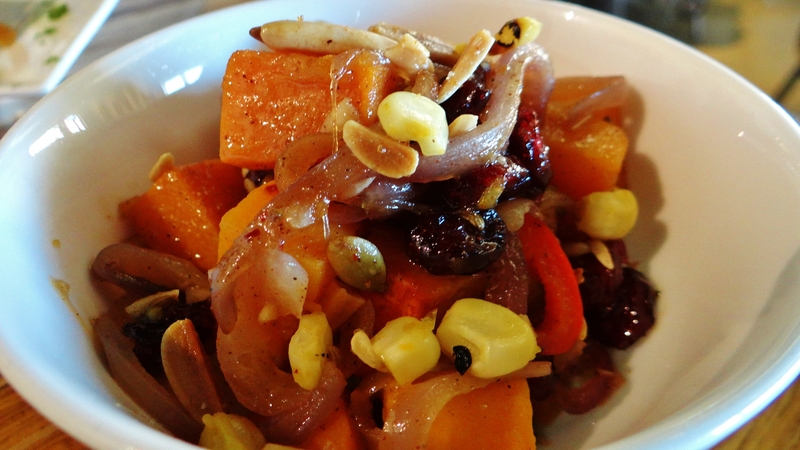 The sides are also major stars of this show; try the butternut squash that is paired with cranberries, red onion and almonds. Originally the service was more fast casual where ordering was done at the counter, but more recently they switched gears and went to the traditional table side order method, and this has proved extremely helpful. Our waiter was spot on cordial and informative. Nazca is one of the few early adopter restaurants that are able to achieve a healthier menu at a fantastic price point, and still offer a solid dining experience.